May 19th Series race day #3 - BOB ! The Northern Virginia Model Yacht Club (NVMYC), located in Reston Virginia, is a semi-formal bunch of local (and sometimes not so local) sailors who get together twice a month for sailing, racing, and fun. The club is the sister Club of Ashburn Model Yacht Club which started in 1998, with three founding members; Tom Causin, Brian Roberts, and Steve Wasilko. We sail primarily the Thunder Tiger Victoria, the Victor Soling One Meter and the RG65. Members also have other yachts that include: the Footy, the EC-12, the RC Laser, the CR-914, the ODOM, the IOM, and a variety of schooners and tugs. 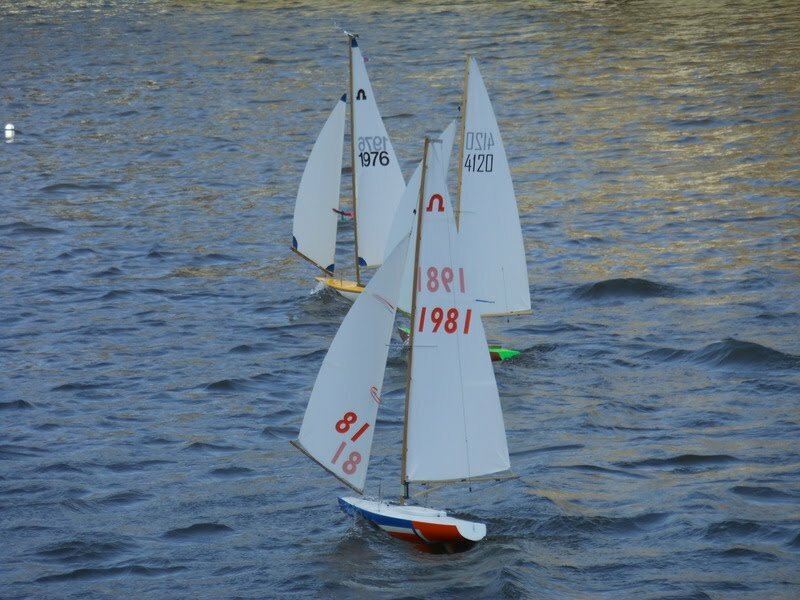 The main focus of the NVMYC is to help further the experience, exposure, and sport of the wonderful world of model yachting--be it radio controlled sailing, racing, scale working models, or slow electric (sorry no gas allowed on our pond). The club meets monthly on the 2nd and 4th Sunday for racing and fun sailing. Club members are known to share their boats on the fun day (4th Sunday) and are always there to answer questions.